Toruk: The First Flight. Photo by Errisson Lawrence. From outdoor festivals to stage shows to a day of fun for dog lovers, there’s something for everyone in the merry month of June. Matilda The Musical at the Benedum Center. Photo by Joan Marcus. The Benedum Center will present a song-and-dance ode to a heroine of children’s literature with Matilda The Musical. The stage adaptation of author Roald Dahl’s classic book tells the story of an extraordinary girl who uses the power of knowledge to escape her sleazy parents and tyrannical school mistress. The show has won over 50 international awards, including four Tony Awards and a record-breaking seven Olivier Awards. 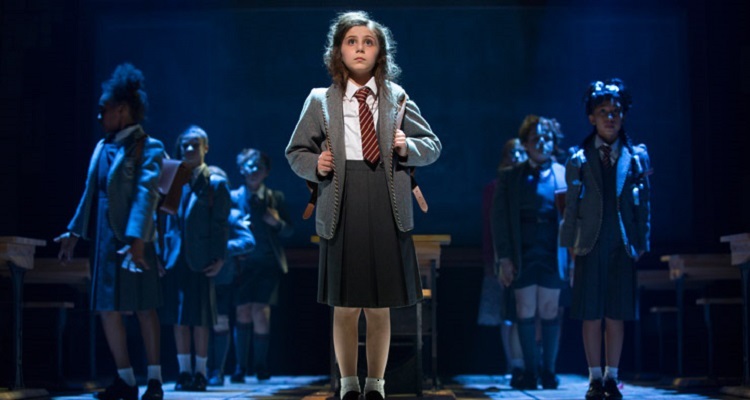 This is the first national tour of Matilda the Musical, which was originally written and performed by the British Royal Shakespeare Company. The show is presented as part of the Pittsburgh CLO Summer Season and the PNC Broadway Across America-Pittsburgh 2015-16 series. Lego time at the Summer Reading Extravaganza. Image courtesy of CLP. 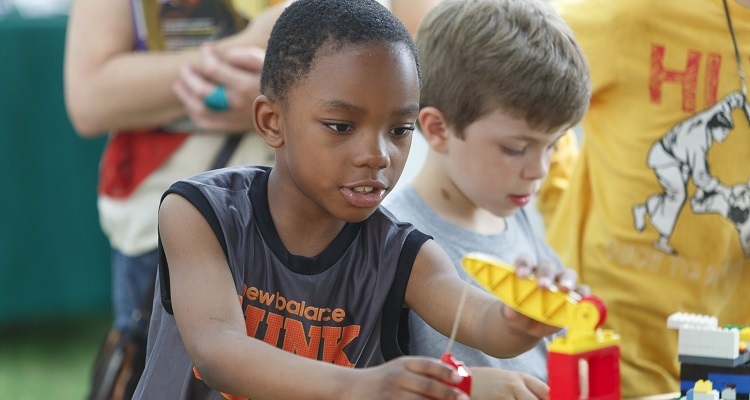 The Carnegie Library of Pittsburgh (CLP) will kick off its 16th annual Summer Reading Extravaganza, a city-wide challenge to read 90,000 books between June and August, with an outdoor festival. The event offers activities for all ages, including music, crafts, games, storytelling, food trucks, a used book sale and more. Attendees can also enroll in a summer reading program, get a library card or visit with dozens participating community groups. The festivities continue indoors with puppet shows in the Children’s Room and an afternoon concert featuring four female musicians from WYEP’s Reimagination Series. The event will take place on Sunday, June 5 from noon to 5 p.m. at CLP-Main, 4400 Forbes Avenue, Oakland. Having a grr-ific time in Daniel Tiger’s Neighborhood. 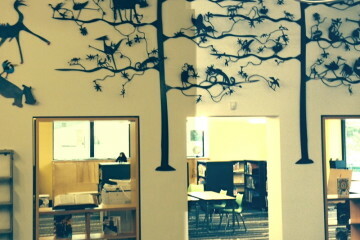 Image courtesy of Children’s Museum. 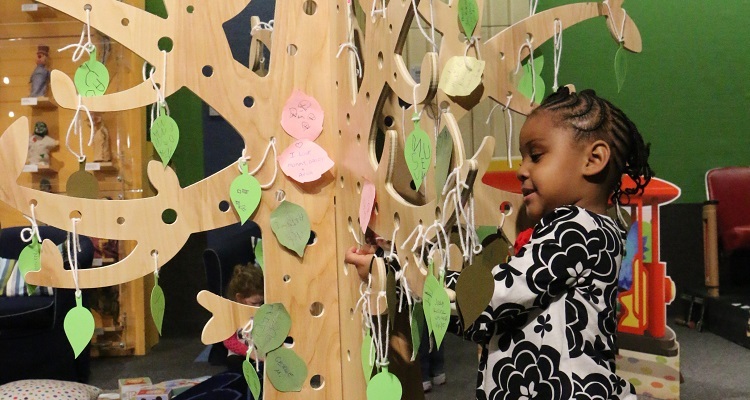 The Children’s Museum of Pittsburgh will host a variety of fun and enriching activities with the opening of Daniel Tiger’s Neighborhood: A Grr-ific Exhibit. Created in partnership with The Fred Rogers Company, and based on the award-winning PBS Kids television series, the event allows youngsters to step into Daniel Tiger’s world and join him and his friends as they explore the Neighborhood. Through immersive experiences, visitors will work together to solve problems, use their imaginations to transform their surroundings, and play along with Daniel’s singable strategies to learn life’s little lessons. Daniel Tiger’s Neighborhood: A Grr-ific Exhibit will continue through January 17, 2017. 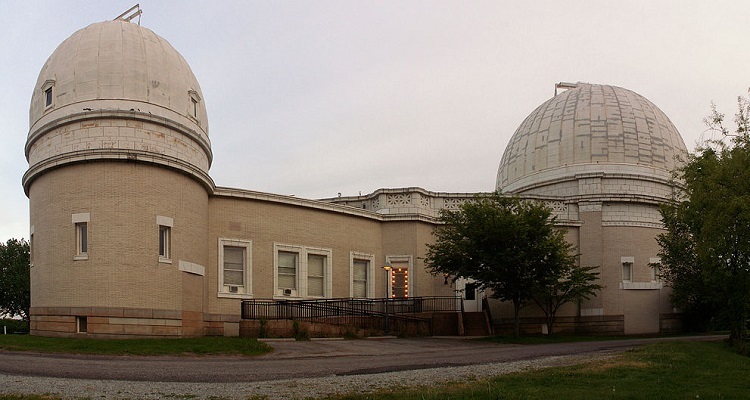 Allegheny Observatory at Riverview Park. 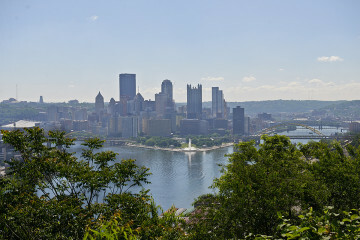 Organizations throughout Pittsburgh will join Citiparks to provide plenty of free fun at Riverview Park Heritage Day. The grounds of the Chapel Shelter become Fort Heritage, where the American frontier comes alive with horseback rides, totem pole painting and more. Throughout the park, children can play games, view rare birds from the National Aviary, meet furry friends from the Animal Rescue League and Humane Society or participate in bike activities with Venture Outdoors. Families can also visit the Carnegie Science Center craft booth, tour the Allegheny Observatory or meet a Bomb Squad robot and tour a SWAT vehicle with the Department of Public Safety’s SWAT, Police and Fire divisions. Complimentary refreshments will also be provided. Making chocolate-covered strawberries at Trax Farm. Image courtesy of Trax Farm. 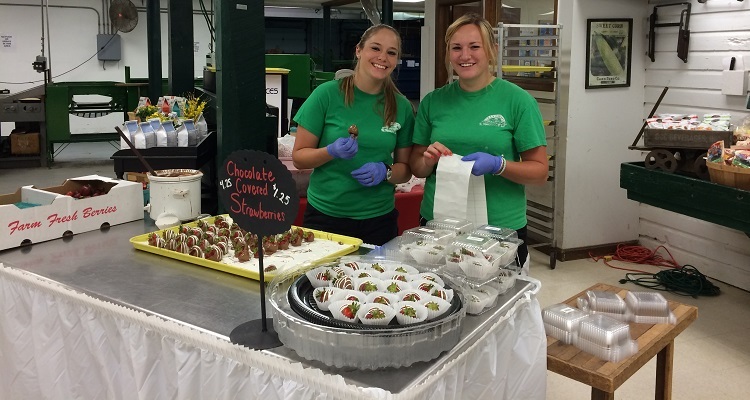 Families can have a sweet time at the 27th annual Trax Farm Strawberry Festival. From Saturday, June 11 through Sunday, June 12, attendees can participate free activities, take in some live entertainment, sample some delicious food or browse the Trax gift shops. For the kids, there are garden crafts, a bounce house and rides on the Rainbow Express Train. Visitors should be sure to bring their appetites for a diverse menu filled with strawberry treats such as shortcake, sundaes and milkshakes, as well as more savory fare such as hot dogs and ham barbeque. The Trax Farm Strawberry Festival will take place from 10 a.m. to 4 p.m.
Panera Pup Walk grand marshals Charlie and Latasha Batch. Photo by Dan Theiss. 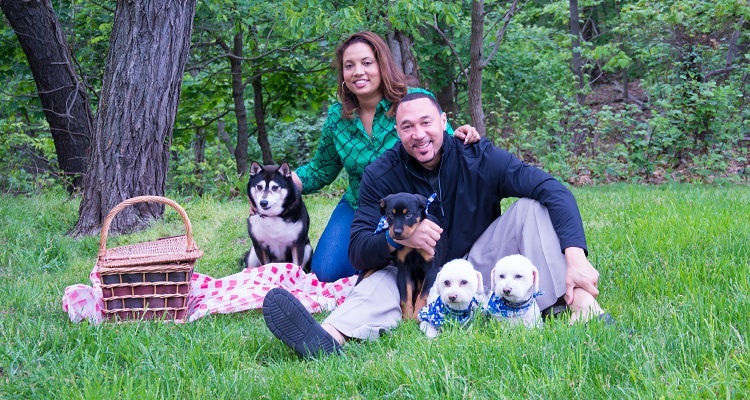 Bring your four-legged friend to the Waterfront for the 7th annual Panera Pup Walk, a two-mile fun walk for dogs and their owners led by former Steelers quarterback Charlie Batch and his wife, Latasha Batch. Additional festivities include various vendors, raffle prizes and dog-friendly games. Owners can also dine outdoors on the Panera Bread patio with their pets. The walk will begin at 10 a.m. in the Town Center area of the Waterfront near the Panera Bread café. Registration costs $25. Guests can pre-register online or on the day of the event beginning at 9:00 a.m. The first 350 registrants will receive special goodie bags. All proceeds will benefit Western Pennsylvania Humane Society (WPHS). On the Frick lawn. Image courtesy of The Frick Pittsburgh. 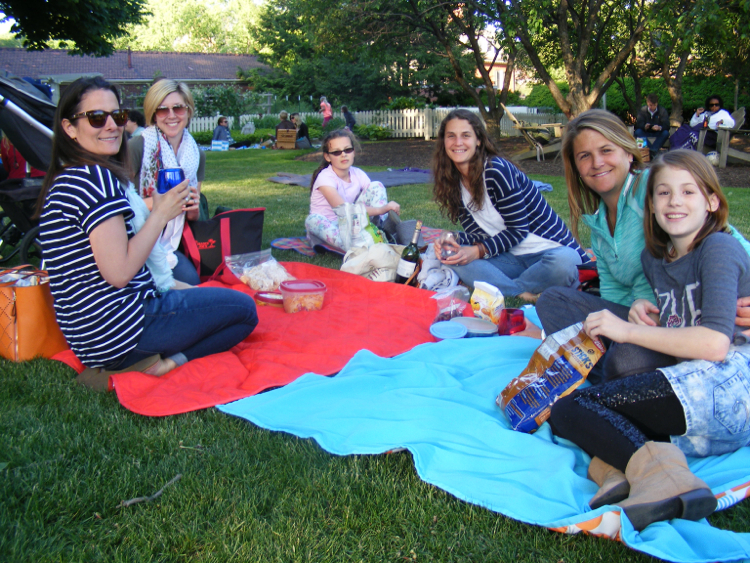 The Frick will kick off Summer Fridays, a 12-week outdoor series featuring a variety of free live entertainment, art, film and other programming designed for all ages and tastes. The first session will include performances by local rock bands Meeting of Important People and Working Breed, treats from the Franktuary and SS BBQ food trucks, and a visit from the Vintage Valet fashion truck. Guests can also dine in The Café at the Frick or picnic on the Frick grounds. Performances begin at 6:30 p.m. Summer Fridays will continue through September 2, 2016. Support for the series is provided by First Niagara. 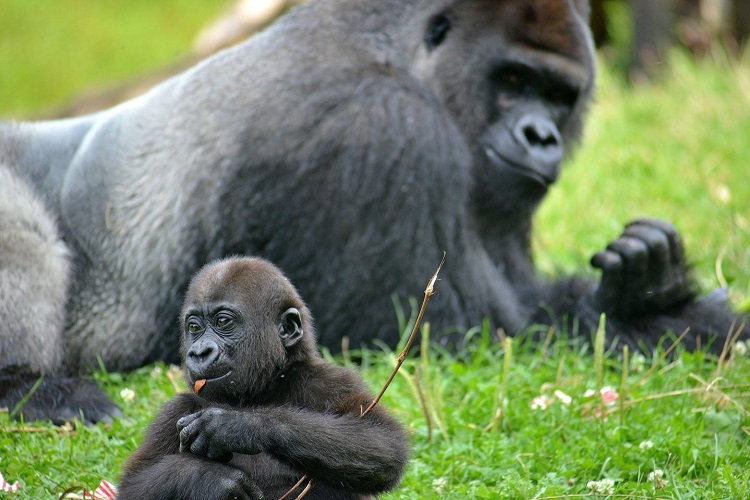 Mrithi the gorilla and his son Ivan. Image courtesy of Pittsburgh Zoo. Show dad your appreciation by taking him to the Father’s Day Celebration at the Pittsburgh Zoo & PPG Aquarium. During their visit, families can see the new Amur leopard cub in the Asian Adventure area, play in the Kids Kingdom, savor some outdoor concessions or simply take in the beauty of nature. The Father’s Day Celebration runs from 9:30 a.m. to 6 p.m. All dads will receive free admission when accompanied by their children. This event is sponsored by First Commonwealth Bank. Children’s activities at the Community Garden Party. Image courtesy of Mattress Factory. The Mattress Factory will welcome people of all ages for their annual Community Garden Party. The free event will celebrate the museum’s neighborhood and families with a wide variety of fun activities. 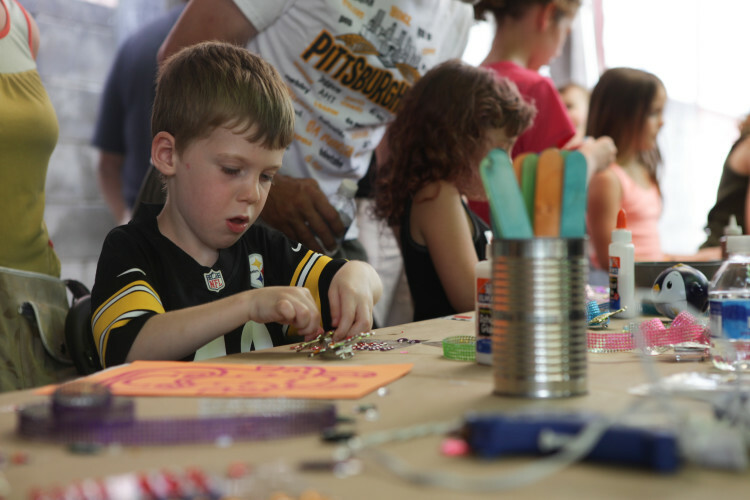 Partygoers can participate in a hula-hooping workshop with Pittsburgh Flow Collective, get their faces painted, snap a mugshot with fishstep studios, or visit with the Carnegie Library, AIR: Artist Image Resource or City of Play. Guests can also enjoy music from Pandemic Pete and Uke & Tuba and food from Franktuary and Stickler’s Ice Pops. The Mattress Factory’s Community Garden Party will take place from 1 to 5 p.m. 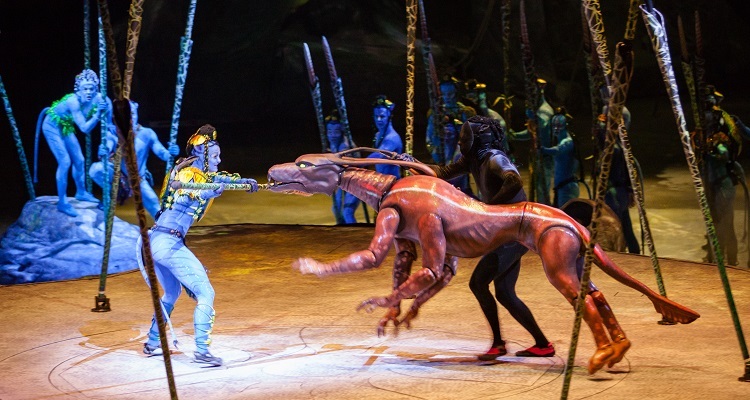 Enter a magical world with the new Cirque du Soleil touring show Toruk: The First Flight at CONSOL Energy Center. Written and directed by Michel Lemieux and Victor Pilon, the immersive new live show combines cutting-edge visuals, puppetry, music and stagecraft to create a mythical tale based on James Cameron’s award-winning movie Avatar. The story follows Ralu and Entu, two Omaticaya boys who set out on a quest to find the Toruk, a mighty red and orange predator that rules the Pandoran sky, in order to save the Na’vi from a terrible fate.